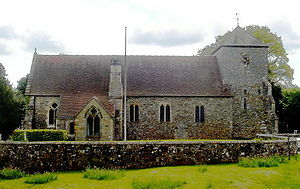 The united benefice of St Mary's and St Mark's is a group of Anglican churches serving the villages of Handcross, Pease Pottage, Slaugham, Staplefield and Warninglid. We offer a variety of services on Sundays and mid-week, as well as other events and activities to serve our community. We aim to be a place where people can belong. A place of acceptance and love that values people for who they are. A place where you matter; of forgiveness, healing, encouragement, support, hope and prayer. We want to get involved in our local community and beyond. Your time and strengths can help others.